Born at Campbellford, Ontario on 9 August 1853, he studied at Victoria College (Cobourg), graduating with an Arts degree in 1883. He came to Manitoba later that year and began legal studies. On being admitted to the Manitoba Bar, he formed a law partnership with George P. Munroe which persisted to the end of his life. On 26 September 1888, he married Sarah Margaret Carr (1852-1938) in Prince Edward County, Ontario. They had no children. 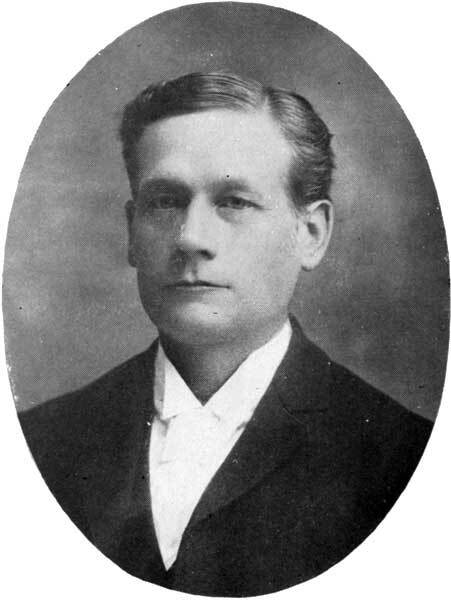 He served on the Winnipeg city council in 1892 and 1893, and was Chairman of its Fire, Water and Light Committee. He was a member of Young Methodist Church, the Independent Order of Foresters, IOOF, Woodmen of the World, and the Ancient Order of United Workmen. His residence at 124 Nassau Street was designed in 1906 by architect J. H. G. Russell but he died before the building was completed. He died on 19 December 1906 and was buried in Elmwood Cemetery. “The late G. H. West”, Manitoba Free Press, 21 December 1906, page 16. Obituary [S. M. West], Winnipeg Free Press, 14 February 1938, page 16.